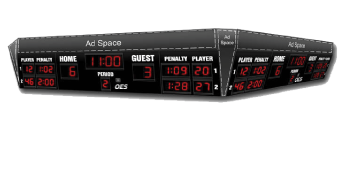 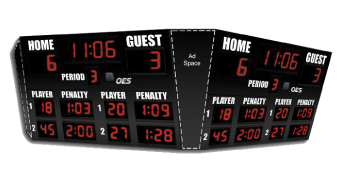 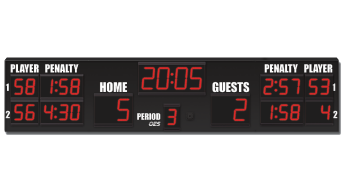 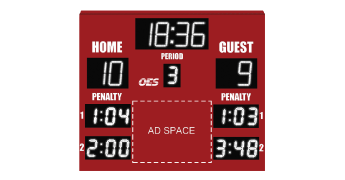 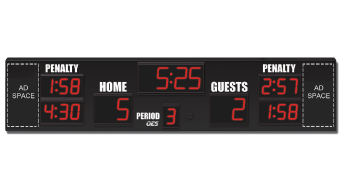 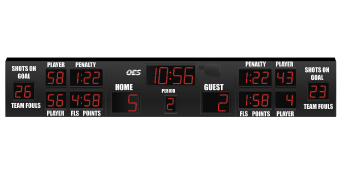 OES’s hockey scoreboards include a loud horn (103 decibels at 10′). 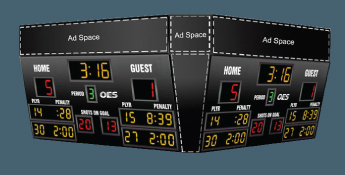 All circuit boards are conformal coated to protect against moisture. 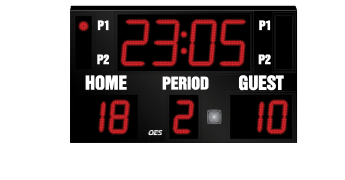 Time of day is displayed when scoreboards are not in use.